The biggest climate-driven extreme weather event since Katrina – Boulder’s Carolyn Baker reports on fracking leaks, climate, economic hit. 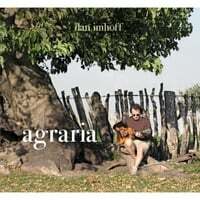 Plus Calif. songwriter Dan Imhoff on new album “Agraria”. Make it rain for those in drought, but make it stop for those in floods, from Colorado to Taiwan and China. I’m Alex Smith. We open with one of the big stories of 2013, the unbelievable tropical-style rains that flooded Boulder Colorado and points north. More than a foot of rain in 24 hours in some places, in an area that doesn’t get that much in the average year. The Boulder story has everything – climate change, the way higher energy costs to rebuild could break budgets, and lessons in how unprepared we all are. Could the triple punch of climate, economic woes and escalating energy be the pathway toward the collapse of industrial civilization? 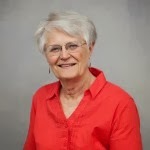 In just a moment we’ll talk with Boulder resident, Carolyn Baker. She’s a published expert on collapse and getting ready, inside and out. Two weeks ago we got an update on the continuing nuclear accident at Fukushima Japan, from Arnie Gundersen. This past week Tropical Storm Man-Yi was headed straight for the crippled nuclear reactors, just as many feared. No worries. The utility operator, TEPCO had it all under wraps. They tied down the octopus of make-do piping with ropes. Good, good. And they put some weights on the cranes, hoping they wouldn’t topple into any of the blown-out reactor buildings, still carrying tons and tons of highly radioactive fuel bundles in their upper stories. That should do it. It would all be funny if the Fukushima site wasn’t so dangerous to the whole Northern Hemisphere. I doubt even their thousand bolt-together tanks holding highly radioactive water could have withstood the 230 kilometers-an-hour, almost 150 miles-per-hour, super winds of Typhoon Usagi that hit Asia later last week. Both of these typhoons missed hitting the Fukushima plant directly. When will it happen? I think the make-shift badly engineered cover-over by TEPCO will be blown away. At the very least, we can expect one of the buildings to collapse into the already soaked sub-soil. Tons and tons of the most radioactive materials are bound to flow right into the Pacific Ocean, while more will blow over Japan, and possibly the West Coast of North America. What is your government doing about this world-class disaster risk? Absolutely nothing. Say it again. Absolutely nothing. Let’s run away to beautiful Colorado, a great retreat zone, where mother nature is always kind. The recent flash floods around Boulder Colorado have been compared to a Hurricane Katrina moment for America. No matter where you live, this mega-event tells us so much about climate, energy, and preparedness – or lack of it. There’s nobody better to cover all this than Boulder resident Carolyn Baker, author of “Navigating the Coming Chaos”, and a new book coming out in November titled “Collapsing Consciously, Transformative Truths for Turbulent Times”. Regarding the impacts on our society and economy, I think Boulder will turn out to be more significant than just another disaster. I’m hearing comparisons to Katrina already. The Governor says “we will rebuild” as they always do. But like New Orleans, some things will not be, and cannot be “rebuilt”. Like the treed stream banks, now turned into unstable, undercut sides. Like places that are obviously set to flood again. Let’s talk about the energy involved. all that infrastructure, including mundane buildings, roads and bridges, were built with oil that cost between $15 and $35 a barrel. Now oil is over $100 a barrel, meaning everything costs 3 to 6 times more, just for the energy. Ditto steel and other components. Events like this will eventually break many cities, states, and even countries. Keeping with energy, the group East Boulder County United published photos of fracking tanks full of God-Knows-What sitting in flooded fields, tipped over, and even floating down swollen rivers. This fracking equipment was never designed for floods. I’ve seen photos in Colorado of fracking towers right beside suburbs, school yards, and even kids playgrounds. We all know fracking operations vent tons of noxious gases. How is that possible? The Colorado floods also showed the world the unpreparedness of the average citizen. I saw news footage of people desperately being air-lifted away from completely undamaged homes after just four days. It was early September in Colorado. They were in no danger of freezing to death. Didn’t they have some food and water stored for emergencies? Boulder is among the more advanced communities in Transition, or at least a progressive place. We talk about some of the positive things that are going on there. For one thing, the main folks in the Transition Colorado movement decided their main emphasis had to be on developing local food production and consumption. So they began a new organization now found at localfoodshift.com. This case of sudden floods in Colorado also reminds us there can be knock-on effects from climate-driven mega weather, a year or years later. In New Jersey, officials are now saying the huge fire that burned down the rebuilt boardwalk was likely caused by electrical systems damaged by Hurricane Sandy in 2012. You have a similar delayed impact in Colorado. Carolyn explains how last year’s giant fires in Colorado added to the flood damage this year. There was no vegetation to soak up the rains, or to hold on to the river banks. Parts of the landscape have been changed never to return. The widespread damage, and the nearly impossible cost of rebuilding, also point us to a pathway of economic collapse. In this scenario, we just keep getting hit with climate-driven disasters, until we are far too broke and broken to rebuild. Roads don’t get rebuilt, bridges stay out, some communities are abandoned. Everybody should read Carolyn’s article “All Dress Rehersals Are Over” published from Boulder on September 16th, 2013. It’s powerful and inspired many of the things we talked about today. We interviewed Dan Imhoff about the book he edited on CAFO, the Tragedy of Industrial Animal Factories. Listen to/download that 2010 interview with Dan here. Sadly it’s all still happening, and we talk about that again in this show. But there is a whole other side and talent to Dan Imhoff. He’s been a musician for years. Now Dan got together with a hugely talented crew all from Sonoma County California. It sounds so good there I want to move to Sonoma Country, the way Dan tells it. The Agraria Facebook page is here. You can sample the tunes and buy them here. Or try out this You tube video of Dan’s modern re-write (complete with GMO’s) of “Cluck Old Hen”. COMING UP ON RADIO ECOSHOCK! We’ve got some great guests coming up, including Nicole Foss (a.k.a. “Stoneleigh”), Richard Heinberg, J.B. MacKinnon (co-author of the 100-Mile Diet). Plus some exciting interviews with young people just starting out on the road to battle climate change, and heading to the Powershift 2013 conference this October in Pittsburg. Thanks for listening folks! And thanks to everyone who supports Radio Ecoshock with a donation or monthly membership. ← Power Down or Power Shift?